Happy first day of fall. 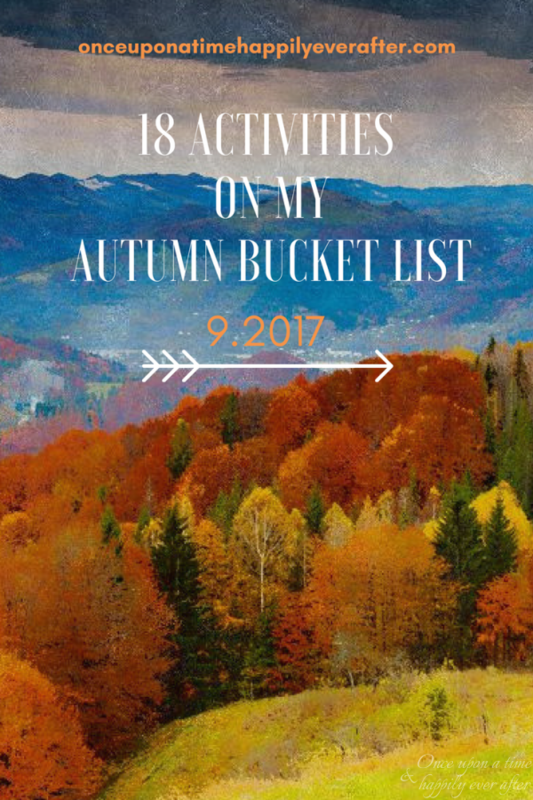 Linking-up today with a grand gaggle of gals to share “18 Activities On My Autumn Bucket List”. Doesn’t it seem impossible that we are already sipping warm pumpkin-flavored beverages? Filling our homes with the cinnamon-spicy fragrances of fall? With afternoon highs near 100 degrees here in El Paso, it doesn’t feel much like autumn yet. I am going to dig out my scarecrows and pumpkins to begin decorating anyway. Kicking summer to the curb. But before I do, let’s take a quick look back at how I fared on my summer bucket list. You may have noticed the number of activities for fall is considerably fewer than on my overly ambitious summer list. I really went overboard thinking of things to keep myself busy last season. Too much so. Need another good month of summer (which we are getting weather-wise) in order to check off everything else. Have scrambled to check off a few more items in the weeks since my last summer bucket list update, here. Nope. No good excuse for not doing it either. I have purchased the journaling Bible and lots of supplies. Need to get with it. Little did we know back in August that so many lives would be affected by this historic hurricane season. One of the ladies on staff at Whitaker where I am subbing, collected items for victims of Harvey and Irma. Human and furry alike. 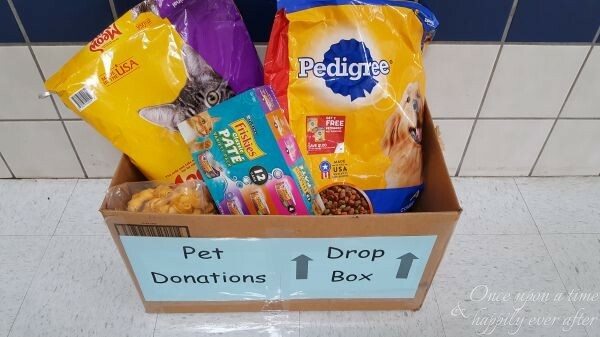 I made donations of food and treats. Nope. Nary a stitch made on it for weeks. Yes, yes, yes. 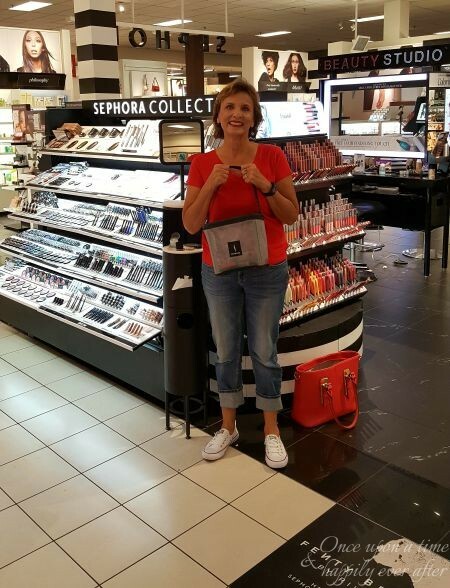 At Sephora in JCP. More to come later. Ha, so simple. But nope. Oh, yeah, baby. Labor Day. Ants and all. Check that one off the list. Fail. Something about this scares me. So dumb. Eleanor Roosevelt is quoted as having said one should do something that scares them everyday. That would be making crepes for me. 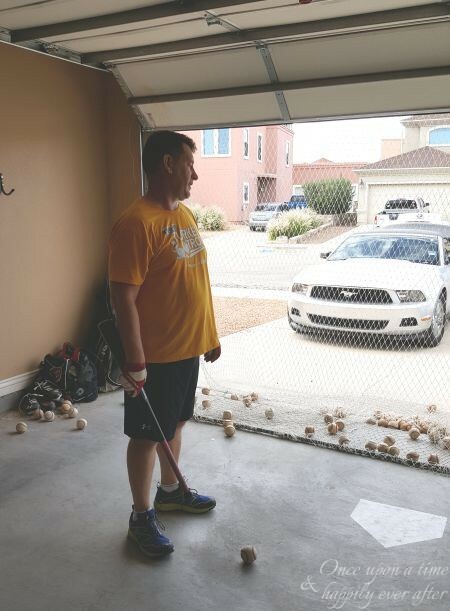 I pitched to PC so he could hit balls against his net. Then we played catch. Yup, for about five minutes. Good ’nuff. Had hoped to run one last weekend so I could draw a line through this item. But I am having a lot of pain in my right leg. Thought it might be associated with my cervical spine issues. Doctor says everything in my neck looks ok. My cage is still in place. Just getting old, I guess. Nope. Just gathering dust, those old guns are – to be read with a Yoda-esque voice. I was at 14 activities accomplished out of 29 in August. Completed 4 more for a total of 18 out of 29. Lesson learned. So, let’s put summer to bed for heaven’s sake. 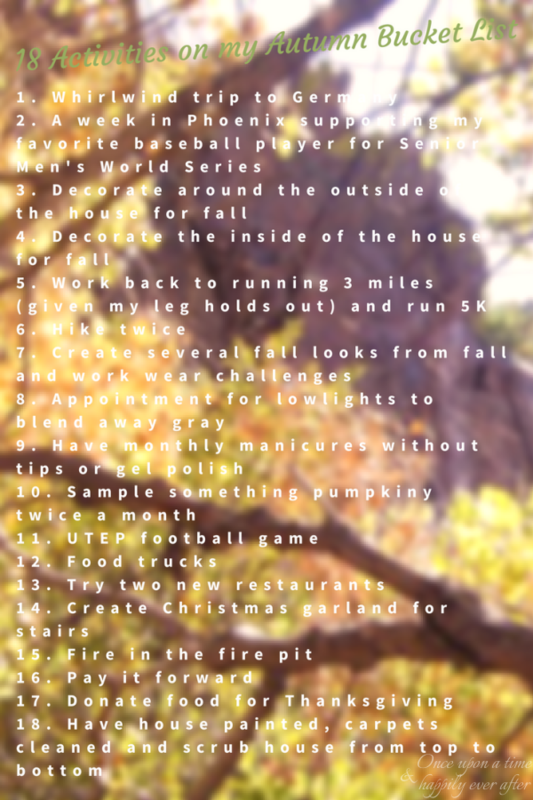 Moving right along and without further delay, I give you the “18 Activities On My Autumn Bucket List”. Seems fairly doable. However, so did the summer bucket list when I put it together. Hope you will keep coming by to cheer me on, to check on my progress. Tell me, what’s on your autumn bucket list this year? Is it a combination of frivolous fun and honey-dos, like mine? Won’t you share some of your plans in a comment below. Or, if you are a blogger, link-up your autumn bucket list post right here. Please run by to read about the big plans my blogging besties have for their fall…or in the case of my Aussie buddies, spring! And mark your calendars for our first autumn bucket list update on 10.21.2017. Hope you will come back by. Whatever your plans for the fall, may you enjoy every precious moment of this lovely season in good health and with those you love most. Still a pretty ambitious list, Leslie, but I’m sure you can do it. I see we both got the pumpkin sampling on our lists. That should be fun! Happy Fall to you! Kicked off my pumpkin sampling with a pumpkin spiced latte at Krispy Kreme yesterday. Let the games begin! You’re going to Germany???? That would take the entire list up if it were me!!! It’s better to be over ambitious than lazy right?? So I’m on your side!! Ha! You are the cutest. Going to Germany on Friday. Pinch me. PC left yesterday. He will be working there off and on for months so I am tagging along this go-round. I am not the most enthusiastic traveler but I am sure this will be a trip of a lifetime. Missed the boat on this one. Hope to join you in Oct! This list still looks daunting! Lol!! Jump in with your list anytime and then do a progress report with us on 10/21. Really wanted to do 31 Days of Writing this year but life seems to get in the way. Will look forward to your posts on your upcoming trip to Spain. I am sure it will be glorious. That’s so exciting you’re going to Germany! I’d love to visit someday. I love food trucks – so making it to some more would be great before they all kind of disappear over the winter. Would love to have you join us for these bucket list posts. Or sentence a day! Holler back if you are interested or send me an email. I am hoping to drug my husband with a hefty dose of Nexium so we can enjoy the food trucks in all of their caloric, greasy glory. Wow! You must have a lot of energy! I am worn out reading all of your plans! You have inspired me to aim higher. Good luck on your new list. Join us, Helen!!! Write up a quick list…just a few things…and post. Then join our update posts on 10/21 and 11/21. Our winter bucket list will come out on 12/21. Would love to have you jump in here with us. I am amazed at how much more I do with my list to guide me. Thank you for coming by. Have a great time in Germany, Leslie. We have three months to complete our fall list so I’m sure you can do it. #18 sounds like a lot of work. I hope you have someone to help you. Oh, I am all about hiring painters and carpet cleaners. But will do the housecleaning on my own. I have decided not to return to work full-time for now, so I need to get with the house cleaning. Once we get this traveling bug satisfied. Thank you for your confidence in me. I hope to be able to knock this bucket list outta the ball park. 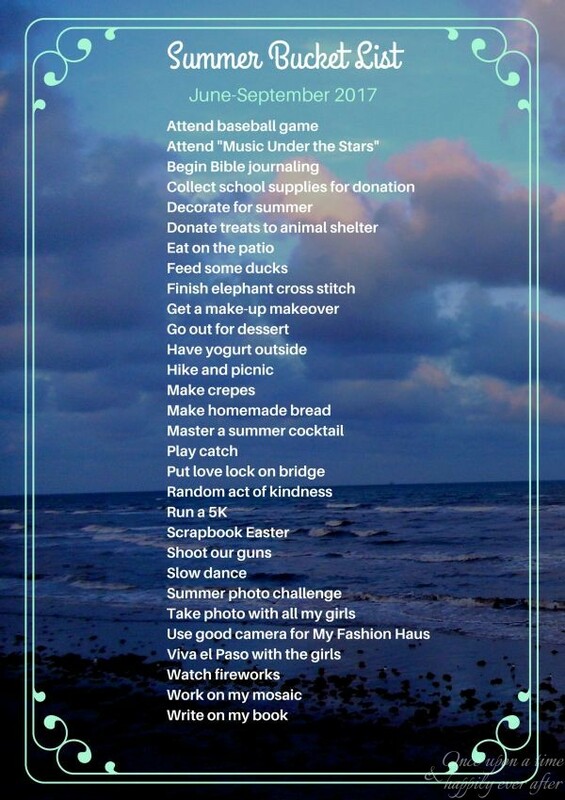 Even though you didn’t hit your whole list, you still got so many great activities in this summer! I love that you always have a mix of fitness, family and fun! I’m looking forward to hearing about your fall decorating, sports and running adventures! So proud of all of your good running this summer. I am going to get back at it. My right leg has been giving me fits but I have been lazy for a week and it seems better. Now to get back to running. Oooh, Germany will be so fun! I have not been there! I still think you have a TON of things on your list at 18, but at least then you have some variety and you can pick and choose… and if it all doesn’t get done, there is always winter! Or next fall! 🙂 I love the food truck one. We were going to do a food truck night and I got the wrong week, it was the week before. I was so bummed! I also like the try something pumpkiny! I hope you get some relief from the pain, that is so hard when you want to do something (like run) and you can’t! I had a lot of pain when I trained for my marathon, which is probably why I won’t do one again! Thankfully it went away when I stopped running those crazy digits! Lol! 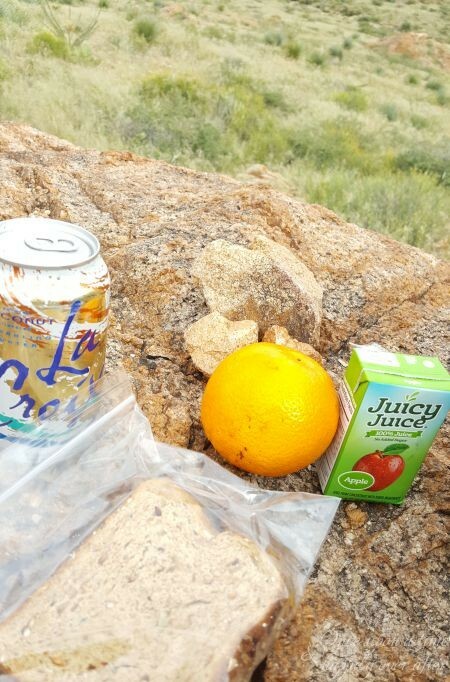 I am still in awe of your dedication to training for the marathon. I have been fat and lazy now for a week so will try to run tomorrow and see how it goes. My leg feels much better for now! I have wanted to do the food truck rodeo for a year but PC has such a sensitive tummy. It might be the death of him. Will have to drug him with Nexium and have Tums in the car for afterward. I want to do a virtual cookie exchange post. If I can get my act together. I have been working full-time and everything else has fallen through the cracks. I want to get some kind of routine for blogging and get my house cleaned up and ironing caught up and breathe!!! Your fall bucket list sounds great! Where are you going in Germany? My PC is working in Weiden. We are going to Munich, Nuremberg, Baden-Baden, Ulm, Lake Constance, Alsace, Triberg. Maybe Zurich? I let him decide!! We will only have a week and will rent a car. Where are your parents? Anything you recommend we do in the cities I mentioned? What do you suggest I pack to wear? I don’t think we will be dressing up, at least not fancy-smancy. I want to be warm enough, though. Paul said it was 62 F today. That sounds ideal! Looking forward to seeing beautiful Germany. Wow, pumpkin mac and cheese! Do tell!!! I need that recipe. Would love to make you a pumpkin pie. They are really good. And I have a chili recipe with pumpkin that is good. Getting hungry thinking about it. Pumpkin scones with a cup of coffee, please. Have given my leg (and everything else) a rest this week. Going to try jogging a bit tomorrow. We’ll see how it goes. I always love your lists Leslie and yes I want a makeover too! Music under the stars sounds lovely and you will definitely get that running back – I’ll help you! Enjoy your Fall and the beautiful colours. Thank you, dear sweet Sue. My leg is feeling better but I have been very lazy for a week. Going to give jogging a go tomorrow to see how I do. We used to go to Germany every summer. I hated it as a kid, now I wish I could do it all over again. I’d enjoy it so much more. Funny how that happens. Oh, you have to go shoot this fall. Put it on your bucket list and put your list on the frig. Works wonders! We will try to go as soon as it cools off some. I just get to where I am half-way hitting the target and then we don’t go again for months. I really didn’t want to get a gun but decided that shooting was something we could do together. So I bought a cutie little pistol. I am thinking you were a military child…hate the term brat. PC was stationed in Germany twice in the 80s and 90s. Where did you guys go every summer? He is in Weiden now for work but will take me all around the southern cities. My family is from Alsace so want to go there, the Black Forest, Dachau. Thank you for stopping by! Wanna do sentence a day with us for October? 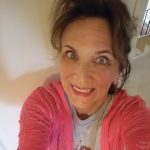 Would love to have you join the fun! I’m impressed Leslie! I have never made a seasonal bucket list, or really any bucket list, because I am terrible at sticking with a plan! I would like to though! Maybe if I just put 5 things on it it won’t feel overwhelming! Oh, join us!!! Print out your list and share it on Instagram with #autumnbucketlist2017. Stick it on your frig to remind you of what you want to accomplish. Let me know how it goes. Thank you for coming by, sweets! I stole one of your items for my own list – decorate for fall. Can’t wait to see your progress next month! Thanks for letting me participate in this linkup! So glad you joined us! I am really interested in the Balance book. Hoping to join the FB group tomorrow but not sure how to do that. Thank you for joining in. Are you interested in participating in Sentence a Day? Have I asked you that before? If so, email me at mommyhon333@hotmail.com and I will add you to the email group. Some great items on your list. Where in Germany? I lived in Munich for a couple of years, wonderful place. I haven’t got a list yet but I think it would be a good idea. The only things planned so far are celebrations for our birthdays and a big family day out next Sun. Oh and I need to think about my blog because with the day job I’m finding it hard to do more than 1 post a week. Isn’t it terribly difficult to find time to blog with the new job? I have enjoyed working but have decided not to interview for this job after all. Will just continue subbing long-term, here and there. I am just worn out!!! And my blogging is rather haphazard to begin with. This month it has truly suffered. Not that many would care! Create a quick list, Gail, and share it. Just five things or so. Then join in for the updates on 10/21 and 11/21. We will do a winter bucket list on 12/21. Sure would love to have your perspective to go along with the gals from Australia, Canada and here in the U.S.
We have a few common items on our lists! Twinsies!!! (Running, however, is NOT one of them!) Happy Autumn! You cutie! You always make me smile. Football, pumpkin, Autumn decorating . . . all sound wonderful. And Germany to boot? I think you are in for a most fabulous Aurumn, and I look forward to seeing your progress in the months ahead! Thank you, Tamara. I have been working full-time for about six weeks now and it is getting the best of me. Have decided to cut back again so I have time to sample pumpkiny foods and scrapbook and then blog about it. Not that any of that will pay the bills. Looking forward to joining PC in Germany. He sent pics today of his first meal and my stomach growled just looking at all of that food. Will probably need to pack lots of stretchy pants. Love your Fall to-do list. Inspired me for sure! Come join us!!! I have a group I email with our link-up codes and graphics and news. We will do our updates for fall on 10/21 and 11/21 and will publish our winter bucket lists on 12/21. You have to read A Man Called Ove. My PC and I listened to it. LOVED it. And then watched the movie. Fabulous. You won’t be disappointed. Yes, yes, yes to riding your bike, swimming and walking me. Me, too! Let me be your new friend!! Thank you for visiting! If you ever want to join us, please let me know. Making these silly little lists really helps me to accomplish more. Don’t feel bad about nto completing all of your summer list! As lon as you had a good summer, that’s all tht matters! Hope you have a lot of success with your autumn list 🙂 I’m fascinated by people in America decorating their houses for different seasons, will you be sharing pics when you are done? We dont’ really do that here, unless you count the usual Christmas decorations in December. I agree! These lists need to be guides or suggestions. And if life gets in the way, oh well. Thank you for running by to visit.